CE Marking is a legal requirement that all windows and doors fitted in the UK are CE marked. Austin Greene of Assure Window and Doors, has compiled some FAQ’s and also an explanation on how to comply with the law. Is this just a European law? It is a European standard but it became law in the UK in July 2013. Is it just an English law like the building regs? No this is UK law therefore it is mandatory in England, Scotland, Wales and Northern Ireland. The glass has a CE mark so is this ok? No the entire window/door needs to be CE Marked. The Installation Company is responsible not the system supplier, glass company or frame manufacture. Do I just need to put a sticker on my window? I understand that that if I buy a fully glazed window my supplier will CE mark it, but why when I buy unglazed is it my responsibility? Is this a building regulation? 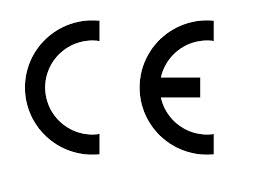 CE marking indicates that a product conforms to legal requirements in specific European technical standards known as harmonised European Norms (‘hEN’). It enables a product to be placed legally on the market in any European member state. However, regulatory requirements may differ from country to country. Note, this will mean Scotland, Wales and Northern Ireland in the future as the devolved administrations have responsibility for Building Regulations in their countries. This guide is intended for manufacturers who make external windows and doors. From 1st July 2013, the Construction Products Regulation 2011 (CPR) will replace the Construction Products Directive (CPD). Under the CPD, CE Marking has been voluntary and few manufacturers have bothered CE Marking. Under the CPR, CE Marking becomes mandatory taking effect on 1st July 2013. What do you need to do to comply with CE marking requirements? 1 Define your product ranges, e.g. casement, tilt/turn, residential doors. 3 The required characteristics for the UK are strength of any fitted safety devices, the presence of any dangerous substances and the thermal performance (U value). 5 A Notified Body (NB) is responsible for the Initial Type Testing (ITT) and you are responsible for factory production control. 6 ITT test reports will normally be cascaded down from your PVC-U system supplier. If not, then you will need test reports from a Notified Test Laboratory. 9 Apply CE Marking to product, or packaging.